But the secret is out. The RSPB has confirmed what many, including Defra and Natural England already know, game management has brought more effective conservation to the table than probably any other conservation activity. The 2013 State of Nature report highlighted that 60% of recorded species were in decline – but the lack of solutions is a catastrophe in the making. To restore wildlife means we have to be bold and brave. If the very best of game management offers some of the solutions then surely it makes sense to take on board those that are proven by long-standing research to work best at triggering a revival. 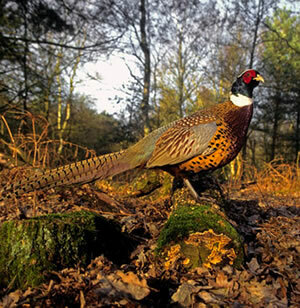 Perhaps unknown to many, options such as supplementary over-winter feeding, wild bird seed mixes, woodland and many other habitat management techniques – all emanating from game shooting are now integral options in the Government’s Stewardship Schemes because they above everything else are successfully boosting wildlife populations. Instead of castigating the RSPB, we should be celebrating the fact that this well-respected conservation charity is big enough to understand that sometimes we have to make stark choices to help our precious wildlife. With many species now threatened with extinction, the clock is ticking and we cannot afford to ignore the evidence for the sake of principle.